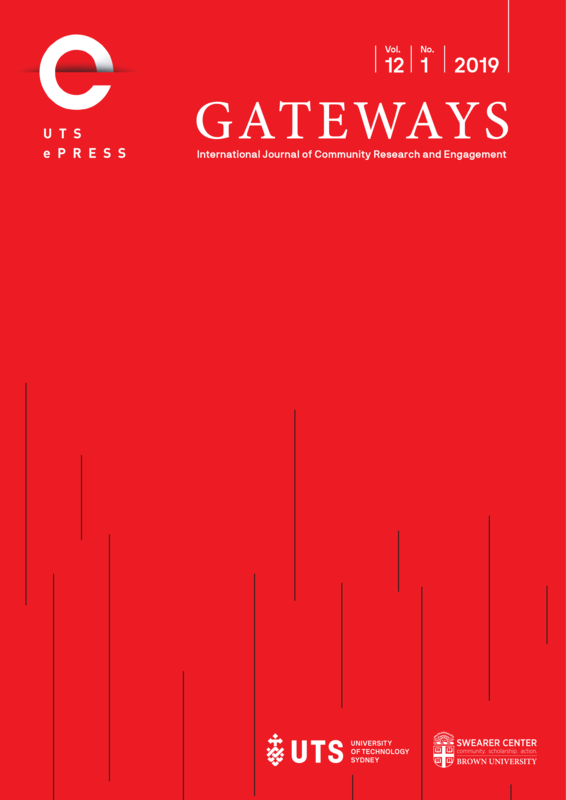 Gateways is a refereed journal concerned with the practice and processes of university-community engagement. It provides a forum for academics, practitioners and community representatives to explore issues and reflect on practices relating to the full range of engaged activity. The journal publishes evaluative case studies of community engagement initiatives; analyses of the policy environment; and theoretical reflections that contribute to the scholarship of engagement. Gateways is jointly edited and managed by UTS Shopfront Community Program at the Centre for Social Justice and Inclusion at the University of Technology Sydney, Australia, and The Swearer Center for Public Service, Brown University, Providence, RI, USA. Subscription is free; please use the Register link at the top of this page to subscribe.